To many people the process of planning and visualizing their dream home is very enjoyable and they may research and experiment with design ideas for several years. Others have strong ideas of what they want and like, and can make decisions more rapidly. In general, we recommend allowing at least 4 to 6 months to work through design development. Construction drawings and documents documents will usually take 6 to 8 weeks. Timber procurement and shop scheduling depends on our workload at the time, but our average time from contract to raising is about 4-6 months; the actual raising of a timber frame takes about a week. Your General Contractor then completes construction, usually within 8-12 months. If you are looking to build within the next one to three years it's best to begin design work as early as possible. 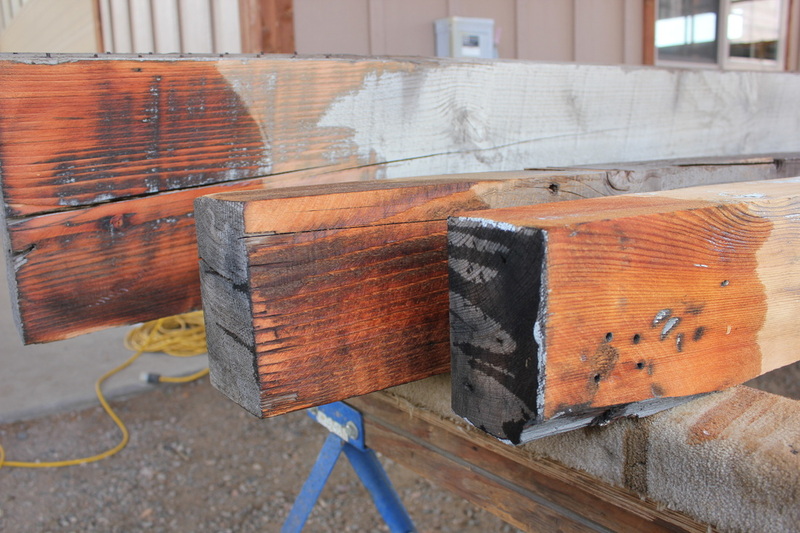 We typically build with high-grade "Core-Dry" or "RFV-dry" free-of-heart Douglas Fir. Fortunately we have terrific suppliers of beautiful timber right here in Oregon. If the budget allows for the increased cost, we provide the option of building with resawn or "rustic petina" Douglas Fir reclaimed from dismantled structures throughout the Northwest. Our recycling process retains the wood’s unique character features. This reveals its past utility and memorializes its history. Do you have a model home I could see? All of the homes we build are custom designed and built for the folks who live in them, so we don't have any unoccupied model homes. However, after initial budget and design considerations, we can often arrange to visit a house with features that we think may be applicable to your project. To insure the continuing quality of our products and services, we limit our geographical area of work to Oregon and Washington. We can help you with referrals in other states. If you are building in California, please contact our "brother" company, Timber Creations. The cost of a timber frame generally runs between $50K and $150K depending on the size and complexity of the frame. We have found that the final turn-key cost for a home that includes timberframing usually runs between $225 and $275 per square foot. Ultimately, the cost of building your new timber frame home depends on choices you make. Your choice of building location, materials, design complexity and construction team will impact your overall cost significantly. EWH can help you evaluate your options and offer some alternatives you may not have considered. SIP stands for "Structural Insulated Panels." Structural Panels have been used in construction for decades. Their use has dramatically increased in recent years as energy costs soar and have made super-insulated building systems more cost effective. SIPs are made of two exterior skins (usually oriented strand board, plywood, wafer board, sheet metal or gypsum board) bound to a rigid foam core (usually expanded polystyrene, extruded polystyrene, Styrofoam or polyurethane). Some panels also have their interior faces finished with drywall, wooden sheet paneling or tongue-and-groove paneling. SIPs are joined together with splines or metal cams that lock the panels together and are sealed with foam, caulk or a construction adhesive. The thickness of panels, which varies from 6 to 12 inches, is determined by the home's insulation requirements. More about SIPS.